Fort Ridgley, Minnesota. May 2015. A year ago, PHS Board Director Cheri Register secured an invitation for the Society to present an adult education class at Westminster Presbyterian Church , her Minneapolis congregation. Throughout the year Cheri and I planned for that class and other parts of a PHS Minnesota adventure. After morning services on Sunday, May 3rd, it was time for class. We used items from the PHS archives to provide students with new information about Westminster and other Minnesota congregations, including diary entries and clippings from the Sheldon Jackson papers . I was fortunate to be joined by our new Executive Director Beth Hessel, who was able to share with the class her doctoral research on the Protestant response to Japanese internment during World War II—much of it gleaned from PHS records. Our vast collections back in Philly had proved a tremendous help! Westminster Presbyterian Church, Minneapolis, Minnesota. Christmas Eve 1967. From RG 425. Later, during the first of three scheduled Living History interviews, I was inspired by Dr. John Sinclair’s stories about working alongside Eugene Carson Blake , John Coventry Smith , Donald Black , and other church leaders. During Reverend Liz Heller’s Living History interview I was dazzled with her stories about traveling the world and belonging to the same church where she once served as a groundbreaking female minister. Heller and Sinclair reflected on their church service with love, and both looked forward to the future Church welcoming new members from diverse backgrounds. Another inspirational figure I met in Minneapolis was Nor Hall, who recently donated the papers of her grandfather, Henry Smith Leiper, to PHS. Leiper was a true renaissance missionary who traveled the world on the church’s behalf, working for agencies such as the American Famine Mission in India . PHS is very excited about making the Leiper papers available to researchers, an effort we’ll be sharing more about in the future. Although our Living History interview with Presbyterian Pastor Fern Cloud needed to be rescheduled, Cheri and I were able to travel to the Yellow Medicine area of southwestern Minnesota along with Dr. Rodney Allen Schwartz, Director of The Westminster Gallery and Archive and all-around terrific gentlemen. Yellow Medicine was where Presbyterian pastors Gideon Pond  and Samuel Pond served as missionaries to the Dakota in 1834. Cheri, Rodney, and I toured historic sites on the way to Pejuhutazizi Presbyterian Church at the Upper Sioux Community near Granite Falls, including Fort Ridgley, where Presbyterians sought refuge at the outset of the U.S. Dakota War of 1862 . Jeff Williamson, a descendant of Dr. John T. S. Williamson, gave me a private tour of the Pond-Dakota Heritage Society . Dr. Williamson was a medical doctor who became a missionary to Minnesota in 1836. He established medical missions to the Dakota in Lac-qui-Parle; Kaposia; and Pejuhutazizi, Yellow Medicine. At the Upper Sioux Agency Visitor Center, I looked across the prairie and imagined Williamson’s early church gathering for worship. 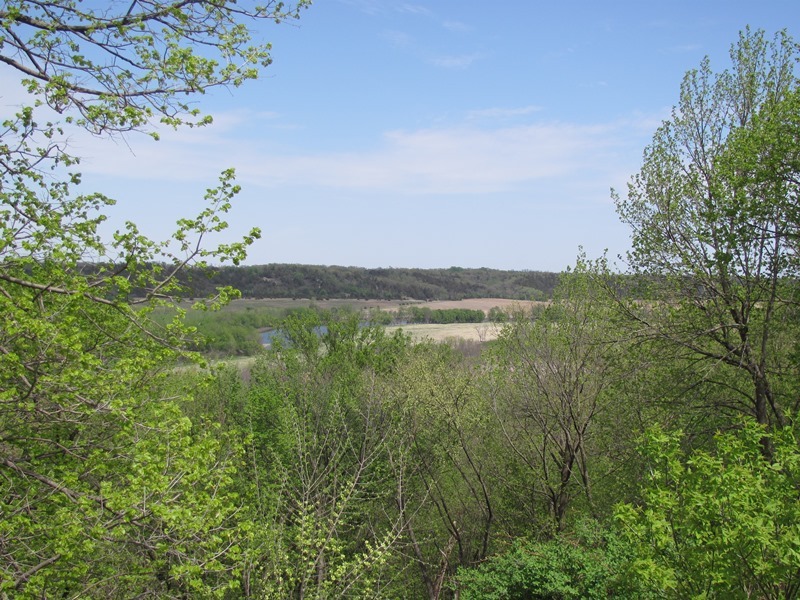 View from Upper Sioux Agency Visitor Center, Minnesota. May 2015. 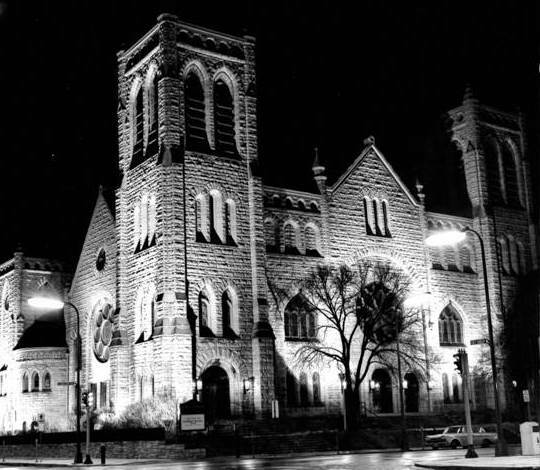 Minneapolis and its surrounding areas have a proud Presbyterian history that speaks to the life of its local churches as well as the national church. Six General Assemblies have been held in Minneapolis--in 1886, 1899, 1945, 1968, 1986, and 2010. Westminster is an urban church with great community outreach, a popular speaker series, and tremendous educational programming. Improving lives throughout the Minneapolis and St. Paul community, for Presbyterians and non-Presbyterians alike, is a vital mission for the congregation. It was a great honor to visit such a wonderful church, to learn so much about the Presbyterian impact on the region, and to bring PHS closer to those who have such love for the past and excitement about the future. I offer my deep gratitude to everyone who welcomed me on the trip, and especially The Reverend Tim Hart-Anderson, The Reverend Kathy Michael, Cheri Register, Rodney Allen Schwartz, Liz Heller, Jane Confer, Carole Mae Olson, Mary Hess, Vince Thomas and everyone at Westminster. I also want to thank Jeff Williamson, Nor Hall, John Sinclair, and the researchers group at the Minnesota Historical Society  for their encouragement and hospitality.